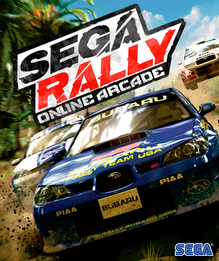 Sega Rally Online Arcade was delisted from Xbox 360 in late October of 2012 according to reporting by TrueAchievements.com. It was presumably delisted from the North American, European, and Japanese PlayStation Store around this same time. Sega gave no advanced notice or explanation but the delisting was most likely due to expired licensing from the car manufacturers featured in the game.